The following text is based on a draft article written for a proposed social centers zine. It’s posted here with some additions to provide something of a summary of the history and current status of the rampART in the run up to a user consultation meeting being planned for the 17th November. 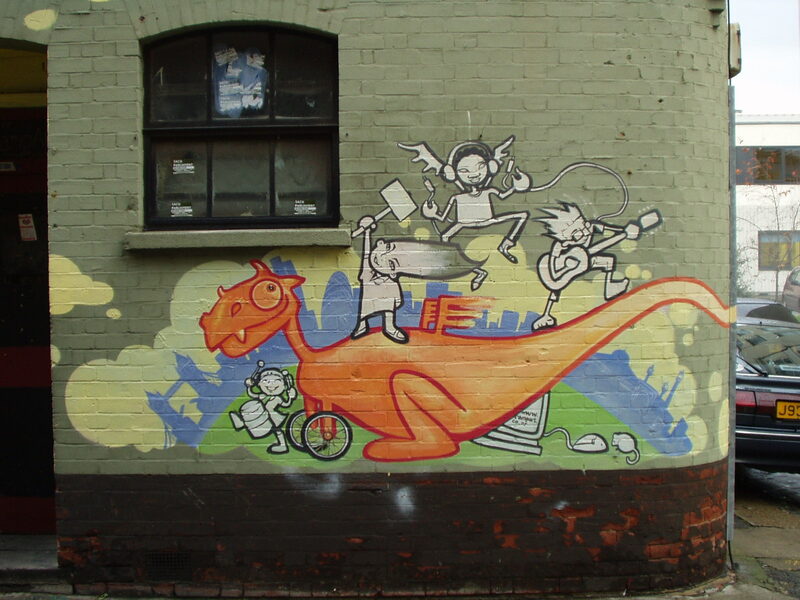 The rampART social centre was established May 2004 in a derelict building previously used as an Islamic girls school then left empty for two years before being squatted along with the vacant houses in the block. The building underwent transformation from the moment it was opened – a partition wall on the top floor was removed to create a space large enough for banner painting and the once empty building was soon bursting at the seams with furniture and equipment collected from the street. Regular users include the samba band, the radical theory reading group, the womens cafe, food not bombs and the cinema collective. The 24/7 rampART radio stream that started with coverage of the European Social Forum has expired a long time ago, resurrected occasionally for live coverage of major mobilisation like the G8 or DSEi. 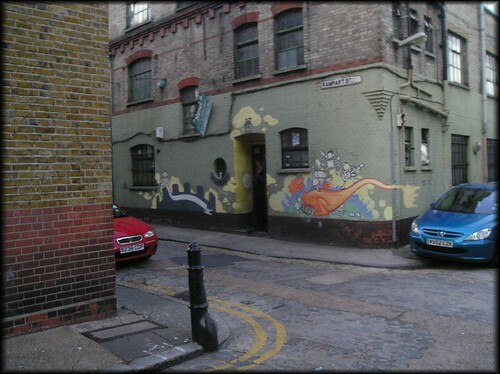 Other radio collectives now use the space to broadcast their weekly live shows – Wireless FM which came from St Agnes Place and Dissident Island Disks. Also planned is an assembly of as many different campaigning groups as possible, along the lines of the long defunct ‘London Underground’ or ‘Radical assemblies’ that used to take place in London, Brighton and elsewhere at various times. The general format would be a go round in which each group has a couple of minutes to say what they are currently up to and what people can do to get involved. After the go round there might be some discussion to help link up collaborations or spin off meetings and actions, followed by a quiet social evening, food and drink in order to allow informal networking. The aim is to help create a greater sense of unity between disparate groups, link up individuals to others working in their location or area of interest, reduce duplication of efforts and avoidable clashes and generally help to strengthen ‘the movement’. Initially this would be a one-off event although the hope is that it will prove useful and generate momentum to become a regular assembly, perhaps hosted on rotation in different parts of London.